“Conversation is the command line of tomorrow,” so asserted Daniel Harvey, experience design director at the SapientNitro marketing agency, speaking at the Interact UK conference earlier this month. The command-line interface (CLI) dates back to the 1960s and has long offered us an efficient way to have computers do our bidding, as long as the right syntax and grammar are in place. In our new world of chatbots, we are following right in line with the CLI, but without anyone having to type a word. From Siri to IBM’s dear Watson, the conversational user interface is taking over where apps left off. Chatbots can interact with humans to learn what they are looking for and perhaps guide them to the correct place. In his talk, Harvey explained a lot about chatbots and the messenger apps that support them. Facebook Messenger has more than a billion monthly users. Snapchat has more than 60 million daily users in U.S. and Canada alone. The much newer-to-the-scene Snapchat has more users than Twitter. People send way, way more messages via WhatsApp than SMS. In fact, in 2015 alone, 7 trillion WhatsApp messages were sent. The top six most used apps are all messaging, respectively: KakaoTalk, WhatsApp, WeChat, VK, Line, and Viber (Facebook Messenger is #10). On the eve of the last Chinese New Year, more people sent “lucky money” over WeChat than transactions were made via PayPal in 2015. It’s not just casual. Slack — you know, the enterprise app with a $3.8 billion valuation — has users spending an absurd ten hours per weekday on it. The combined user base of the top four chat apps is larger than that of the top four social networks. Why are messaging apps and conversational bots such a good pairing? Our conversations are more and more continuous and asynchronous. Location doesn’t matter anymore, though attention span might. These chat apps are free or relatively cheap. They live in the cloud and take up much less space to do everything. More dynamic and expressive, with more features like sending larger files or making phone calls. They integrate with other services as you can coordinate plans with a friend over Messenger and then book a restaurant and order an Uber right from within. After a decade of oversharing on social media, we crave more intimate forms of communication again. Of course for the developing world, mobile data, along with the electricity to charge the devices, is another precious commodity, but particularly in these countries, adoption rates of these apps that help you stay connected are skyrocketing. Silicon Valley venture capitalist Marc Andreessen famously claimed software was eating the world. Five years later, in the quote above, one of his employees Benedict Evans recently contended chatbots and messaging are now making an even bigger mark than software or the app. OK, we get it. Chatbots are going to be huge. But what does that mean for you, the developer? You need to start thinking about pivoting away from app development and toward bot development. More than anything, the app store is going to fade away because we are only downloading about one new app per month out of the four million apps out there. Let’s be serious, the user experience of app stores has never been welcoming. Instead of getting lost in Google Play or the Apple App Store, more and more big brands are making sure they are also present in bot stores within the messaging apps in which folks are already spending hours and hours. Not to mention chat apps are more private. If you’ve used WhatsApp over the last couple months, you can’t help but notice its constant encryption reminders. Even the so-called Islamic State relies on the strong encryption of Telegram. “Even more encryption is becoming the default,” Harvey said. That’s not the case with public social networks. It’s because of this sense of privacy that chatbots are becoming invaluable resources for customer service. “If social media has taught us anything, people love to [SIC] complain,” he continued. By making the conversation more private yet personal on chatbots, customer support has a greater chance to contain negative sentiments and to have more meaningful conversations. Any business reliant on customer opinions or reviews will need to add chat functions to their existing apps or create branded bots within the most popular or most relevant niche apps. On the user side, we are already feeling app fatigue. If people aren’t downloading an app for that anymore, you need to become a part of the apps they already have. “It’s very much the case where you can actually live in just Messenger and get everything done that you need to do,” Harvey said. He cited Kik Messenger, a chat app you’ve probably never heard of unless you currently go to university. It’s one of the first to have a bot store, where brands like MTV, the Washington Post and Vice reach out to the next generation of chatters, while they stay up-to-date on campus gossip. Horror flick Insidious 3 let Kik users send 69 messages in the form “conversations” with the main character in one of the first chatbot guerilla marketing campaigns. For a much more business crowd, Microsoft also launched its own Skype Bot Platform last year for developers to build on. “No one has to worry about a bot working 24 hours a day, seven days a week — there are no labor unions for bots… ,” Harvey said. Chatbots also offer us the unique opportunity to test weak and specific Artificial intelligence at scale. As Harvey said, chatbots are the “Trojan Horse that” will sneak AI into our everyday lives. We’re still at the beginning. GoogleNow, Google Assistant and iOS’s Siri are based mainly on algorithms that are sometimes more witty than accurate. The bots backing Facebook’s apps are more of a mix of human and machine. Both will improve as they listen and learn from our behavior. 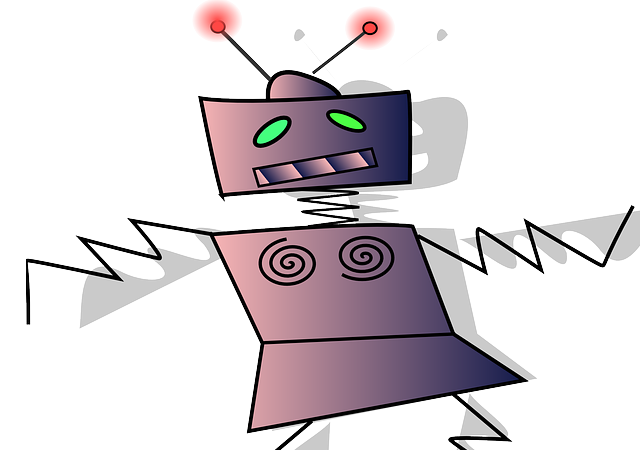 And unlike the limitless search engines, we will be utilizing these bots in a much more contextual basis. “If you’ve got a Facebook bot for your bank, you know to ask it about mortgages or savings or retirement. You wouldn’t ask about the weather,” Harvey said. He continued to explain that, instead of just asking questions, we will call on bots like “micro apps” or “card-like experiences” that are logical for our current queries. These AI-driven bots will also be much smaller than apps, only containing what is contextually important to them. “The brands help constrain the conversation,” which in turn builds a deeper connection between brands and their customers. As we add chat and a conversational user interface, our devices become even more personalized. Harvey can see the Nike+ fitness tracker turning into a virtual personal trainer. Some have achieved this feel of success already. Amy/Andrew is the first fully AI personal assistant that, well, keeps getting asked out by its users, so it had to develop a gentle way to let us mere humans down. And of course, IBM Watson is getting smarter by the week. The more specific brands get, the stronger the user interface and the user experience will become, though the requirements of designing a chat experience are very different than designing websites. It becomes experience design, needing a mix of human and machine learning to craft just the right words. “Information architecture is having a rebirth but also hire writers before UX people and visual designers,” Harvey said. He went on to say that, while technical expertise is still important, companies investing in chatbots are also looking for people with theater and improv backgrounds. The Google team working on its virtual personal assistant even recruited writers from Pixar and The Onion. The right chat strategy will be a part of a brand’s experience. This means businesses will have to adapt. Harvey doesn’t think this will mean companies hiring CCOs — Chief Chat Officers — but we may see consumer brands hiring heads of AI soon.